For the third straight meeting between DePaul and Providence, 90 minutes was not enough. Just like their meeting last season in Providence, the two sides settled for 0-0 tie after double overtime Thursday at Wish Field. 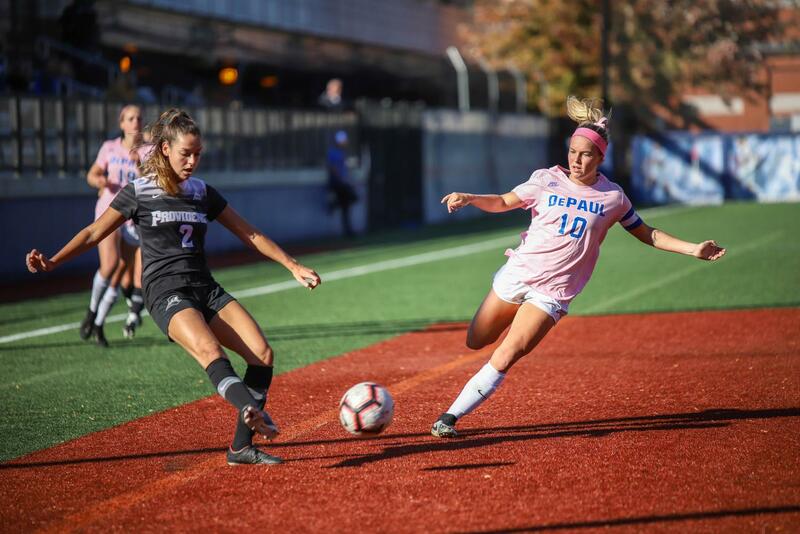 With both sides deadlocked at seven points apiece, both teams were on the outside looking in on the Big East Tournament field heading into the game. 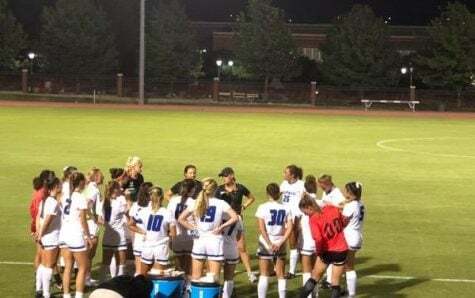 The stakes were high as both teams needed a win – the all-important three points that come with a win would help a team gain an edge in a race that has four schools fighting for two spots. 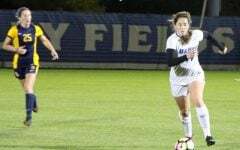 Senior Franny Cerny admitted that, even though the Blue Demons outshot Providence 14-4 in the second half and overtime, settling for one point was disappointing but better than the alternative. 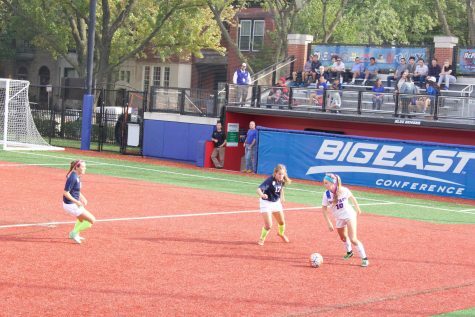 After a scoreless first half and in spite of numerous shots on goal, DePaul put the pressure on Providence early when senior Madeline Frick had a shot tipped away for a corner by redshirt sophomore goalkeeper Shelby Hogan. DePaul finished the game with a total of 14 corner kicks. 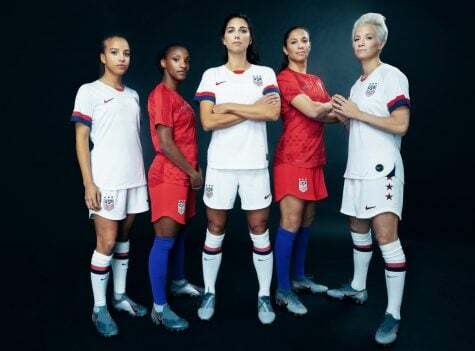 Frick had another chance soon after, off of a free kick that reached her at the back post – but her shot slid just to the left. Late in the second half, Cerny nearly snatched all three points with a header that landed on the netting behind the goal, fooling some in the crowd who thought from a distance the shot had gone in. 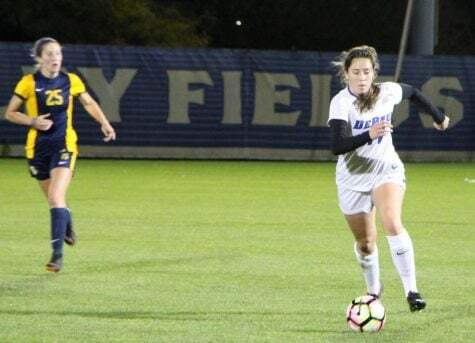 Chastain pointed to the disparity in shots and corners during the game, noting that DePaul hopes to clean things up in the final third heading into Sunday. She did, however, appreciate the way her team came out with a little edge after losing in the 87th minute to Butler on Sunday. 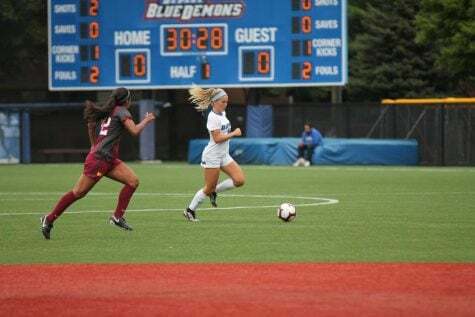 As Cerny has said on a couple occasions this season, the Blue Demons are getting the chances they are hoped they would, and noted that each player has to hone their ability to position themselves into goal scoring opportunities as the Blue Demons look to edge out these close games. 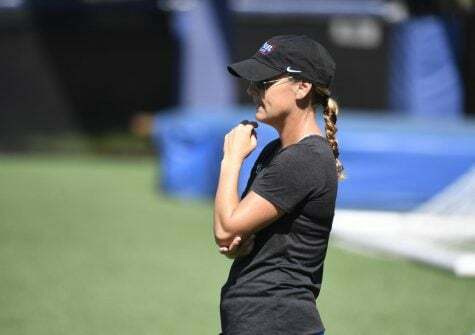 Defensively, Chastain was once again pleased with the way her team was able to hold Providence to just four shots during the second half and overtime. With only two games left in the regular season, and four teams separated by only one point for the final two spots in the Big East Tournament, Sunday’s game against the logjam Villanova brings even more importance on top of already being senior day. As a captain and in her final regular-season home, Cerny said her message to the team will be simple on Sunday. Chastain admitted the team feels like they missed an opportunity on Thursday, but isn’t worried about how her team will respond on Sunday.